BURNABY — It was a scene which gave you a sense of the surreal, but when you dream big and don’t let the details get in the way of trying, it’s the kind of stuff which always seems to find a way to become reality. 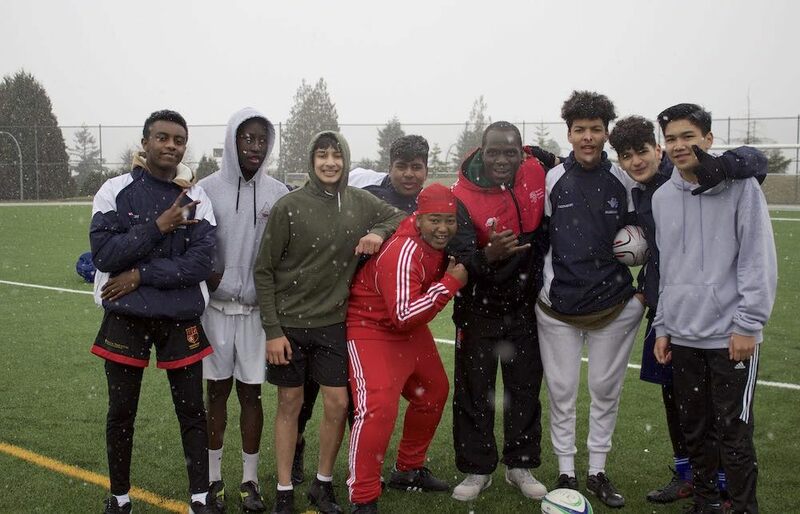 Last month, during an unseasonably cold March day, almost 300 kids had taken to a field in Burnaby to learn the sport of rugby at the hands of the Kenyan national team in town that weekend for the HSBC Canada Sevens tournament. “The Kenyans, they had never seen snow, and it was snowing that day, so for the kids to see that? It was incredible,” remembers Moreno Stefanon, who these days, at the age of 28, can already be called something of a Pied Piper within the world of B.C. high school rugby. The 2008 grad of Burnaby North Secondary, who didn’t even play the sport until his Grade 12 year, has over the course of the last decade, thrown himself head-first into its every intricacy. 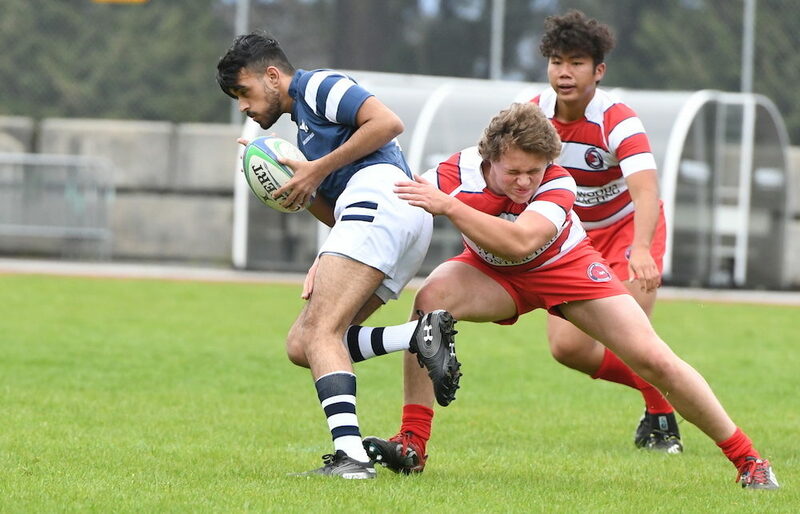 He played for the Simon Fraser club team during his university years, a span which also saw him begin his coaching career right back at his alma mater of Burnaby North. In 2013 during his teaching practicum, he started a rugby program at neighbouring Cariboo Hill which in its first year, went all the way to the Lower Mainland Tier 2 final, and when he began a teaching career at West Vancouver Secondary, it coincided with helping coach the Highlanders’ senior and junior varsity sides for the past four seasons. Yet it’s what is happening this season at a school which had never before offered the sport to its students, a school located in Burnaby’s Edmonds neighbourhood, which has been called the most ethnically diverse community in North America. 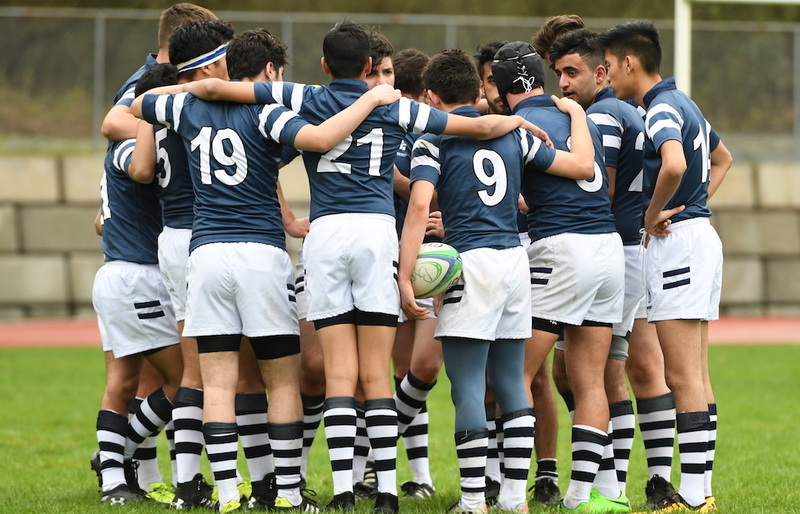 Welcome to Burnaby’s Byrne Creek Community School, home to almost 100 new boys rugby players from Grades 8-through-12. “And that’s all from scratch,” smiles Stefanon who had 26 Grade 8s play in the fall, and currently has 24 on the JV squad and 38 more on the senior team. “There wasn’t a ton of athletics here besides basketball, and in basketball is you can only have so many kids on your team. The excitement and the camaraderie of the game struck Moreno Stefanon at a young age, and so when he entered eighth grade at Burnaby North, one of the first things he did was go out for the Vikings’ rugby team. All the while he watched his cousin Mauro Perrizolo over at Burnaby Central advance all the way up through the rep system, later traveling to his native Italy to play prop for Canada at the Junior Rugby Worlds. 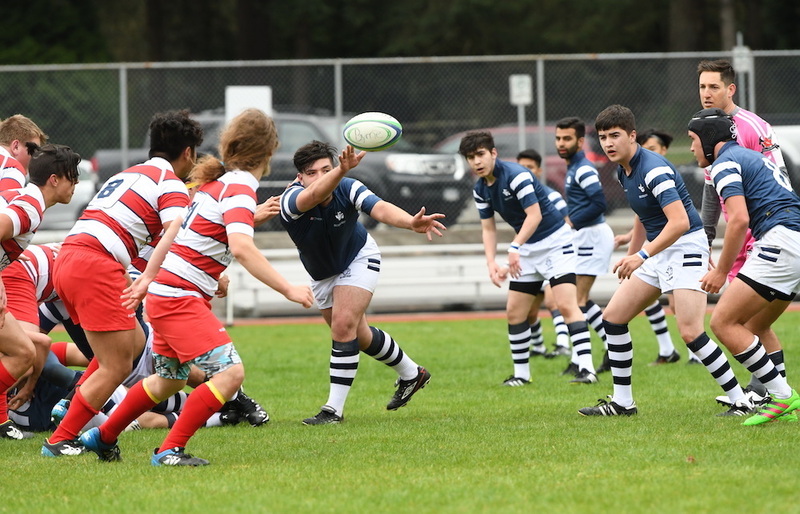 Over subsequent seasons, the rugby program had begun to peter out at Burnaby North. In Stefanon’s Grade 12 year (2007-08), however, a former UBC player named Nick Christofides arrived at the school as a counsellor and re-energized the program. Stefanon was determined to play the game as a high school senior, and playing the game was everything he thought it would be. In fact Christofides, who these days is the vice-principal at Byrne Creek, remembers all-too-well how Stefanon exhibited all the tell-tale signs of a high school coach-in-the-making. For the next two seasons to follow, while he was at Simon Fraser, Stefanon continued to help as an assistant coach at North, learning his craft, and helping to energize the program by getting coaches from the Burnaby Lake club to lend their expertise. After three seasons, however, Christofides took a promotion across town at Moscrop. These days, as he looks back, he sees just what Stefanon has meant to so many. From the standpoint of cold, hard dollars, starting any kind of new sports program at the high school level is never easy. Yet in the decade since graduating from high school and immersing himself in the rugby community, Stefanon got to know those who understood the importance of investing in the future of youth. With the Onni Group and Marcon extremely generous in the start-up, along with many others willing to dig deep in their pockets, the Byrne Creek rugby program moved into this season with about $10,000. Yet after investing in a scrum machine in addition to everything else a start-up program needs to outfit three teams, the fund-raising has had to continue. Stefanon stresses how important it is that his team continues to do just that. Meanwhile, on another level, Christofides admits that his head coach brings an intangible to the equation which money simply can’t buy. While most of them are as raw as they come, there is one exception. 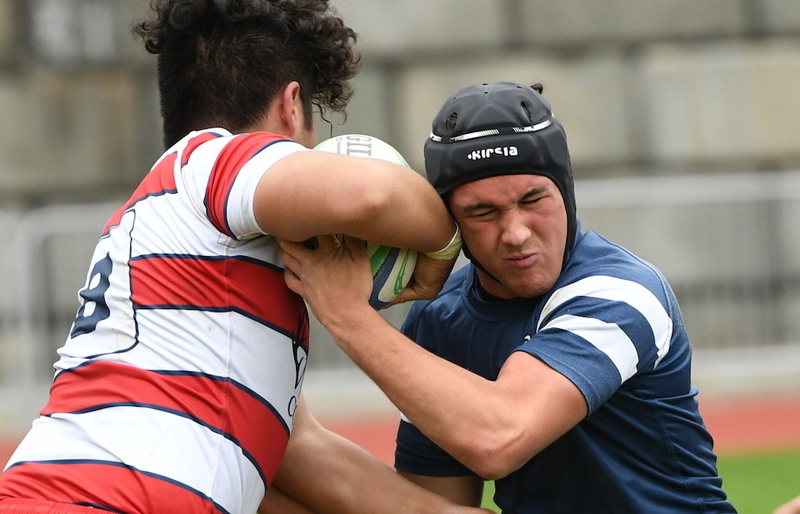 Francesco Tosato, whom Stefanon calls “his gift from the rugby gods” is a Grade 12 Italian exchange student who plays for Petrarca Rugby Club in the Treviso region of Italy, the same region Stefano’s parents are from. Macdonald Chamboko, meanwhile, is a promising Grade 11 and a crossover from the basketball team. Dino Demirovic, a senior with a football background, has anchored Byrne’s front row this season. At the junior level there are three major standouts. 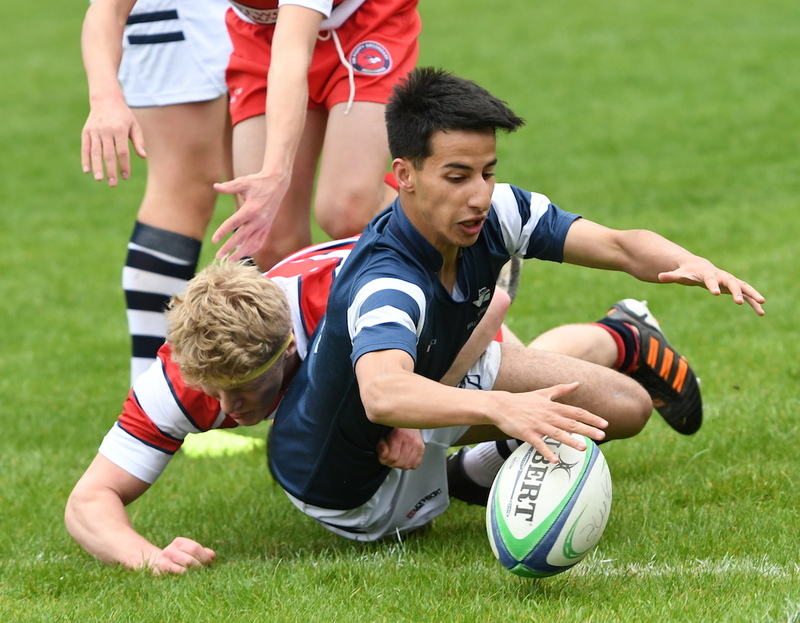 Alexander Flores, a basketball and volleyball player, has now added rugby to his resume and is turning some heads with his combination of size and skill. Adam Muhammad, also a basketball star in the making, has been phenomenal at standoff and will be a force over the next three years. “His basketball hands and his aggression will make him a notable rugby player,” Stefanon says. And the player who shows the most promise? It’s Grade 9 Semir Hasic, who is already the size of fellow Bosnian, and Canadian National 7’s player Admir Cejanovic. The big theme here, however, is the co-operation between the coaches at the school to give its student-athletes the best multi-sport experience possible. Think about all of the elements that, when combined, make B.C. high school sports an absolute force of positive energy in our schools, and then realize that this Byrne Creek rugby story has them all. And that includes inspiring an entire legion of younger, elementary school-aged kids to want to grab the torch when it’s their turn to do so. So many think that all of this is nothing more than mere lip service, that events like the Kenyan national 7’s arrival at Byrne Creek to inspire fifth-to-seventh graders will be something that is forgotten the very next day. In fact, if you mention just such things to Christofides, he is quick to counter with something from his very own past. Of course, what McTavish did for Christofides, Christofides did for Stefanon at Burnaby North, and now with the pair re-united at Byrne Creek, Stefanon just keeps paying it forward. Stefanon just wants his kids to learn from every step along their journey. “We made the decision to play Tier 1 but I did question it,” he says of a Bulldogs team which has gotten off to an 0-3 start against some of the province’s most tradition-laden programs. “At the same time, we could have played Tier 2 and maybe won some games. We decided to take our lumps, though, because we would learn more in an environment where the games are more structured. We’ll take the harder games and embrace the future that comes with it but we have to have perspective. We’re building towards it. But what a way to get there.